United missed the chance to head into the weekend as Championship leaders after the stalemate in the Steel City derby yet statistically dominated their opponents, who were kept in the game when boyhood Owls fan Cameron Dawson pushed David McGoldrick's penalty around the post after 15 minutes. 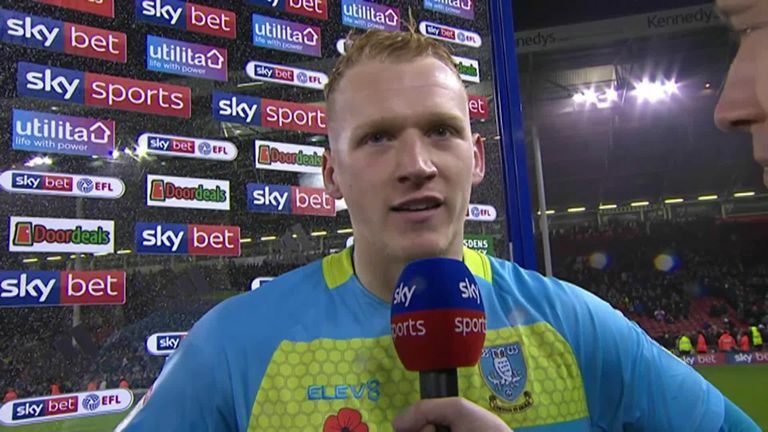 Speaking to Sky Sports after the game, Wilder spoke of his satisfaction in seeing where his team had come from, in just their second season in the division following six campaigns in League One. He said: "I'm alright with that performance - I said I'd rather be in our changing room that the opposition's. We've dominated the game and haven't really come away with what we deserved. "We needed to play well - we didn't play well last week - and give ourselves the opportunity of winning the game and we've done that tonight. I'm nit-picking at a side that's made tremendous strides, especially in the last two-and-a-half years. "We could say we could put the ball in the area a little bit quicker and our last little bit might have been a little bit tidier but we've dominated a very, very powerful football club, with big-hitters, lads on 40-grand a week and we've moved them about the pitch, all over the pitch." 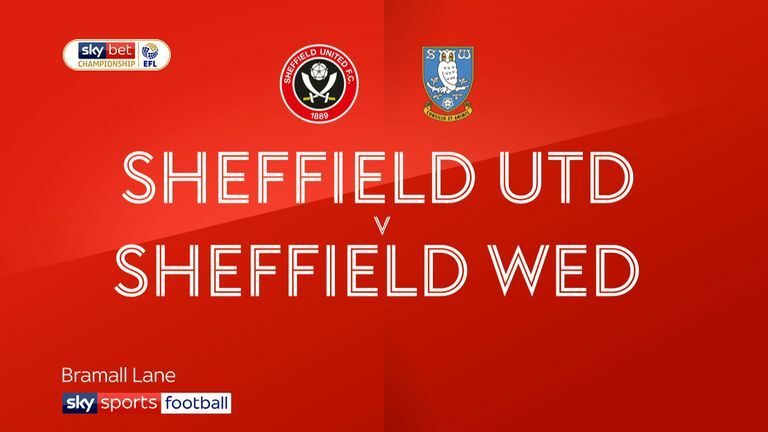 The Blades enjoyed 75 per cent of the possession and registered 19 efforts on the night, though only five of those were on target and Wilder felt that, had Dawson failed to save the spot-kick, the game could have followed a different narrative altogether. He added: "I think if we score the first goal then they might show a little bit of ambition but we dominated an opposition that resorted to getting it and whacking it as far as they possibly can and hoping something might happen. "We didn't want to hope something might happen, we wanted to work something and we did, we just didn't get the last little bit right. Nothing to be ashamed and I'm delighted with the performance, but I don't think the performance represented the result." 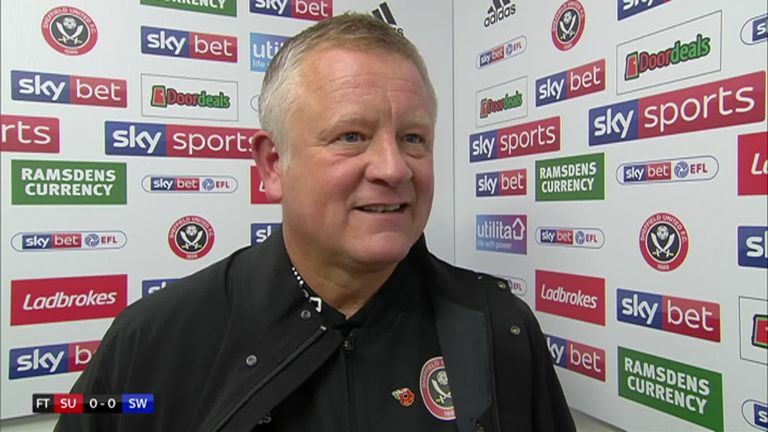 And when questioned on whether United's cross-city rivals feared Wilder's side heading into the game, the Blades boss was unequivocal in his response. "100 per cent," he said. "We've had a lot to put up with over six years so to dominate a powerful club - yes, they have got to play-off finals and play-off semi-finals [it shows] how far we've come. "It still doesn't take away a little tinge of disappointment that we didn't win the game but we'll go our way and I want us to play that way. We totally dominated, we picked the ball up, we kept moving it about the pitch and if we'd have found a little bit of magic…I think it's a completely different story. "I'm delighted at the track we're on as a football club, where we've come from, where we are now and we've just got to keep going to bridge that little gap that is there. Sheffield Wednesday boss Jos Luhukay praised his side's defensive solidity, reserving particular praise for man-of-the-match Dawson. He said: "Our defensive work as a team and with each other was positive. Also today we have a clean sheet, a very good goalkeeper in Cameron Dawson and he let us stay in the game when he stopped the penalty. "I think, for the 90 minutes, there was a lot of pressure from Sheffield United in our half and we must defend for the whole game with a very high focus and concentration and the team did that very well. "I think in possession we were not strong enough today to create really good chances. When you don't find a good way in the game, you must, as a team, try to have the stability in your defence and that is what we had today."